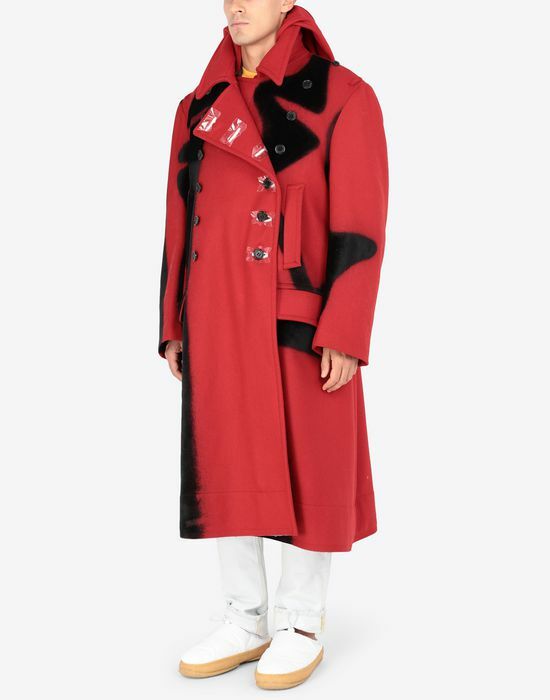 This coat is reworked from an authentic military coat silhouette but with an increased volume that lends a deliberately oversized fit. 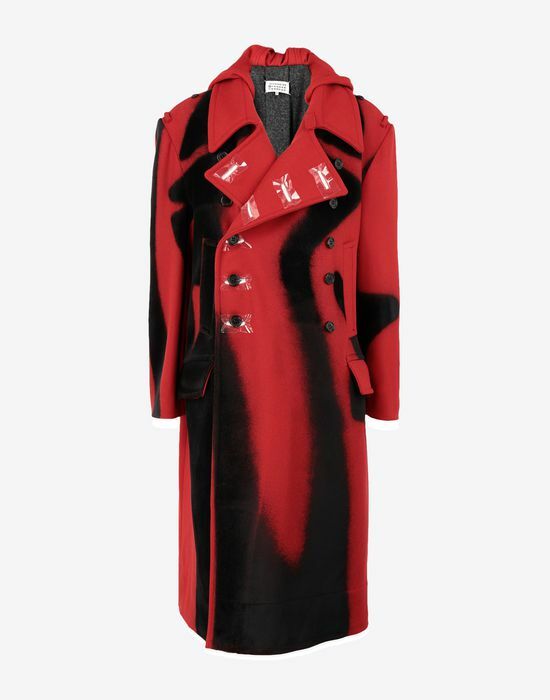 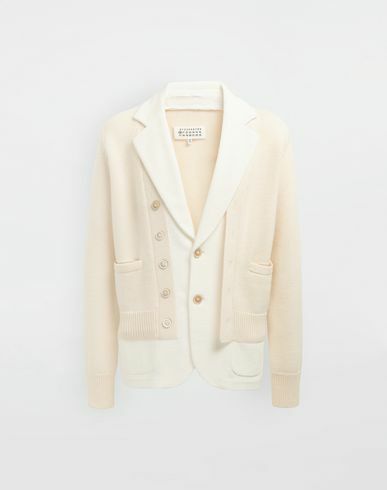 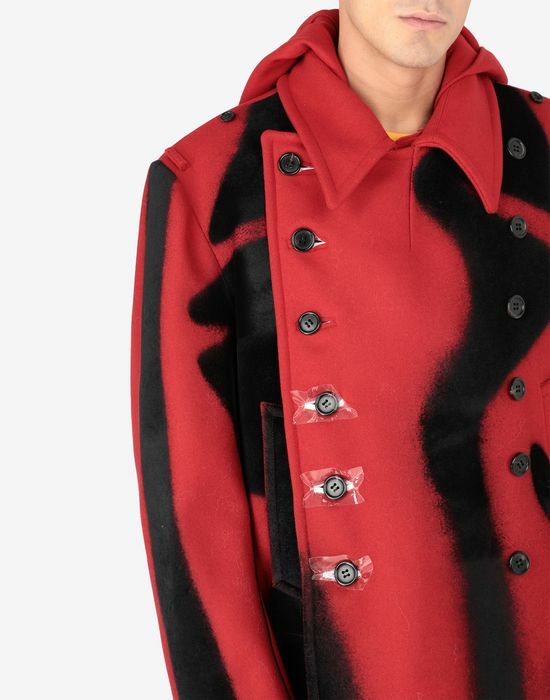 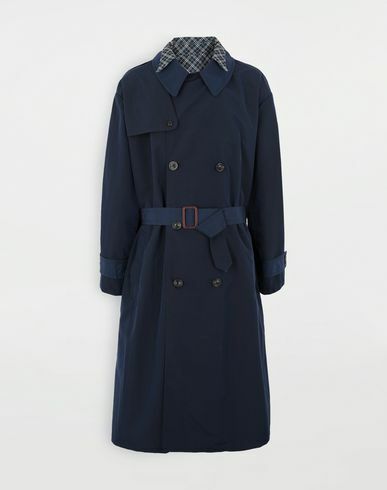 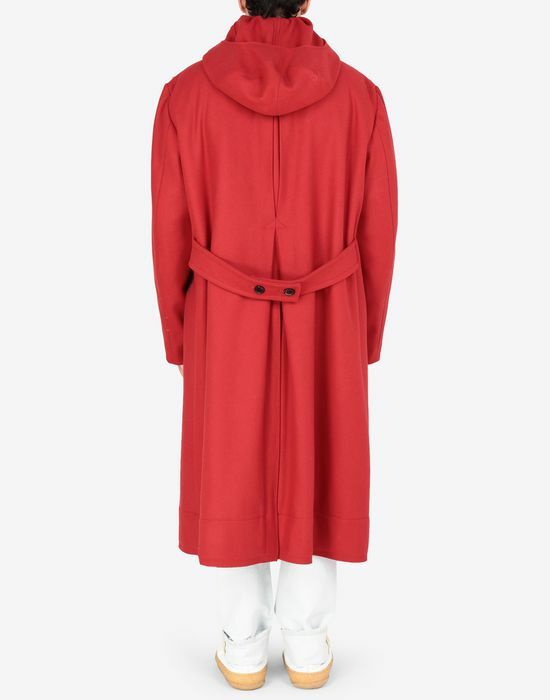 The sleeves have a loose cut and the coat is cut at knee-length, cut from wool in a bright red colour. 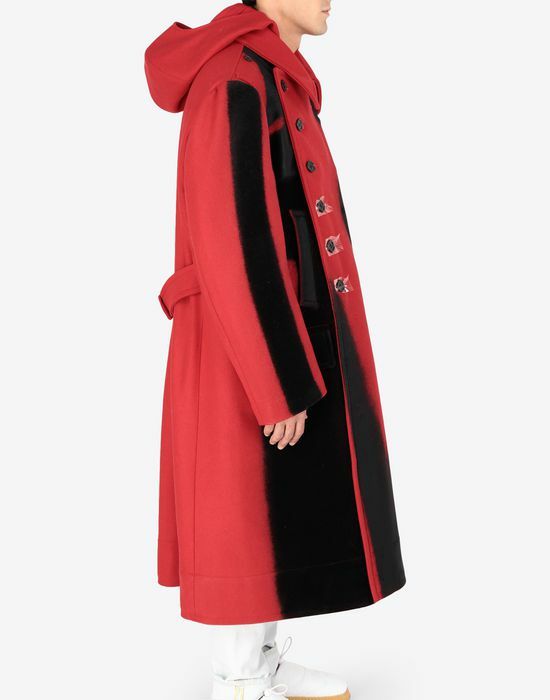 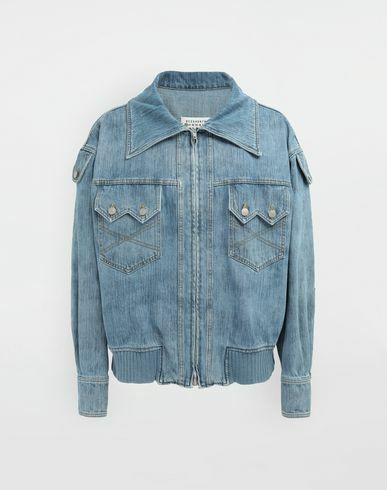 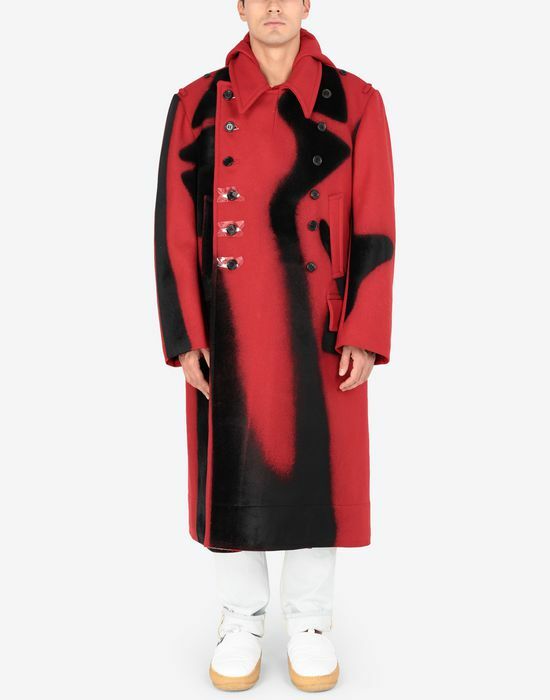 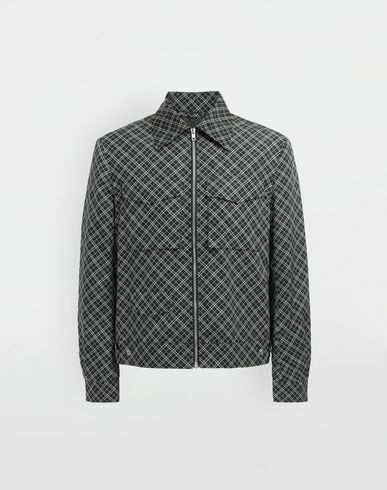 It is designed with a large hood and the Maison's iconic Trompe-L'œil print on the front - finished with PVC trimmings at the buttonholes.